“Virtual Assistant”!!! When you hear about this term, the very first thing that surrounding in your mind is that a man receives the phone calls on behalf of a company and transferring the calls or fixing some appointments for their clients. But, only taking a call, schedule appointments are not only things about Virtual Assistant. 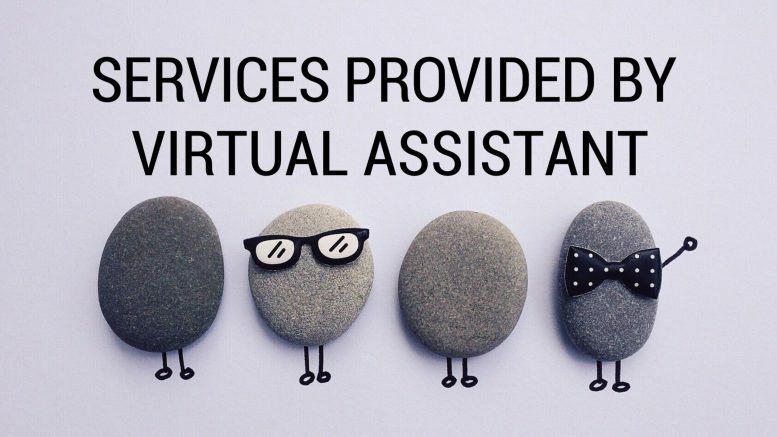 A Virtual Assistant Service Company takes care of a lot more. A Business Assistant is taking care of all of the business related tasks and help clients to grow their business. They will reduce the workload from your shoulder and maintain an individual task with dedication. So that, clients can use your their brain for business development. At the initial period, a Virtual Assistant Company only provides above services like admin support, business assistant, marketing assistant, etc. As our generation growing up, VA organization also grow up their services standard. Web Services is one of the most important services which is providing by some Virtual Assistant companies. A web service is a collection of open protocols and standards used for exchanging data between applications or systems. There are some important Web Services which are provided by a VA Organization. Do you want open a small business? Do you need an expert who will decrease your workload? Do you want to create a world-classe-commerce website? Are you looking for an android application for your services? – Just choose a Virtual Assistant Company, explain your requirement to them and they will do the rest. 1 Comment on "Services provide by Virtual Assistants"
If you can add a time management blog, I am waiting for that.